The manufacture of complex, high-value assets such as aircraft requires collaboration between multiple partners in the supply chain. Once complete, those assets can also remain in service for decades. So the sustained ability to record and track all the many thousands of parts required for assembly and in-service support is critical to the entire asset lifecycle, from design to retirement. But it’s a major challenge for manufacturers, aftermarket service providers, operators and other partners. Time delays, increased costs and potential security risks can arise when incorrect, faulty or even counterfeit or greymarket products are used. For example, one estimate suggests that up to 15 per cent of spare and replacement parts in US armed forces machinery may be counterfeit. Many manufacturers have to deal with a significant legacy of largely manual, paper-based processes for managing the supply, assembly and in-service support of the parts they need. There are also likely to be multiple back office systems whose evolution over time has combined to create a complex legacy for asset management. Few – if any – manufacturers operate with a single system of record that can provide the integrity, accuracy and reliability of data about parts that can be made available securely where and when they’re needed. Given the longevity of many assets in operation post-production, and the inherently complex nature of the supply chain ecosystems required for both asset manufacture and in-service support, traditional ways to capture parts’ data add to the scale of the challenge. But there are now some emerging opportunities to use digital technology that offers a completely new level of data accuracy and integrity. For example, solutions are emerging which use machine vision and AI combined with a conventional smartphone to be a very powerful tool for capturing a unique and accurate identity and subsequent record for each and every part of even the most complex assets. By interpreting data about the material composition of components, almost all materials can be uniquely identified. Since every part is given a unique identity, even those that look identical to the naked eye are clearly and easily differentiated. Anyone equipped with a smartphone loaded with the appropriate software will be able to operate with the certainty that the part they are looking at is exactly the right one. And that means a dramatically reduced chance of ordering or doing something incorrect with the parts or introducing components to the supply chain which are not approved or of the right condition. Identifying every individual part more reliably is one key development. Making sure that precise data about each of them can be shared reliably across the entire, complex supply chain is where blockchain technology comes into its own. 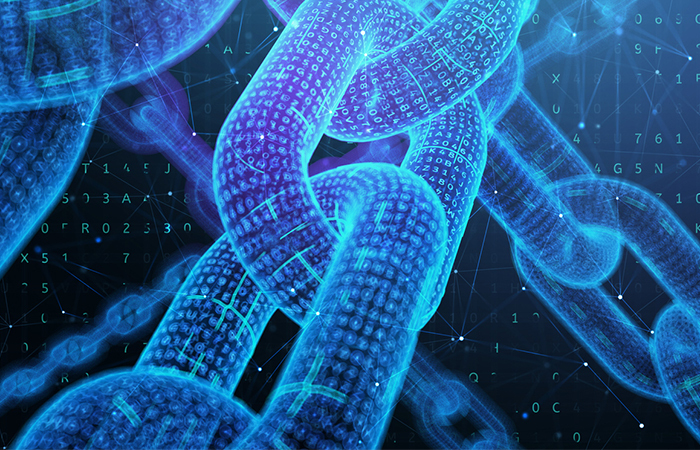 Accenture has worked with Thales to create an innovative, blockchain-based solution that provides a single, shared view of the supply chain and an immutable audit trail that can track, trace and authenticate parts and materials. In addition, the solution harnesses digital technologies to create a ‘digital twin’ of an asset. This provides a digital replica of an existing physical asset. Thanks to the connectivity of the Internet of Things, the digital twin is updated as changes are made along the supply chain. These ‘digital threads’ provide the connecting tissue between manufacturers, suppliers, partners and operators – with everyone working with a single version of the truth. So, for example, the enhanced ability to share accurate and reliable data in real time means every aspect of an asset’s lifecycle can be monitored. That means lower costs and greater trust in the authenticity and accuracy of the data about every single part. It also provides other valuable capabilities, such as the ability to undertake advanced analytics on products and parts and understand how to provide new digital services for assets based on accurate design, manufacturing and service information. Of course, with security a pre-eminent concern in all industries, the enhanced ability that blockchain provides to share information between partners has to be matched by the security of that information flow, so we know who has touched which products and components when and why. For the aerospace and defence industry this new approach is a major step forward to creating the reliable, accurate and secure information flows across the entire supply chain that are essential to more efficient and responsive operations. But its implications apply equally to other industries that need to ensure the integrity and reliability of large amounts of product data across highly integrated and complex supply chains. For more information about how enabling technologies can help your business and industry to take advantage of the digital era please contact Mark Walton-Hayfield.